As General Motors shuts down HUMMER, it is offering rebates of as much as $6,000 on remaining inventory on dealer lots. GM is also in the process of sending letters to dealers ending their franchises. GM says that it would still consider “viable alternatives” to acquire all or part of the brand after the collapse of the sale of Sichuan Tenzhong Heavy Industrial Machinery Co. in late February. If a party is interested in buying the go-anywhere brand from GM (rescuing it in the process), they would have to show that they have the financial resources to back it up. The last thing GM wants is to sell Hummer and commit to manufacturing vehicles for the new owner, only to later have the venture flop and idle manufacturing plants. A few firms have expressed interest but none have successfully negotiated a deal with The General. It’s worth noting that General Motors took the same approach during its divestiture of Saab earlier in the year, declining offers it deemed unsuitable for the long term. GM is expected to announce the details of Hummer’s shutdown in a conference call today at 10:00 am EST. According to Hummer spokesman Nick Richards, Hummer’s CEO Jim Taylor has decided to retire. Richards also said that GM is open to selling tooling and equipment used to manufacture the Hummer H3 SUV and H3T pickup at Hummer’s Shreveport, Louisiana factory. The plant is slated to close no later than 2012. Richards also said that many of Hummer’s 3,000 employees will be transferred to other units within GM and work on the development of models under other brands. He wasn’t specific in giving a particular number. 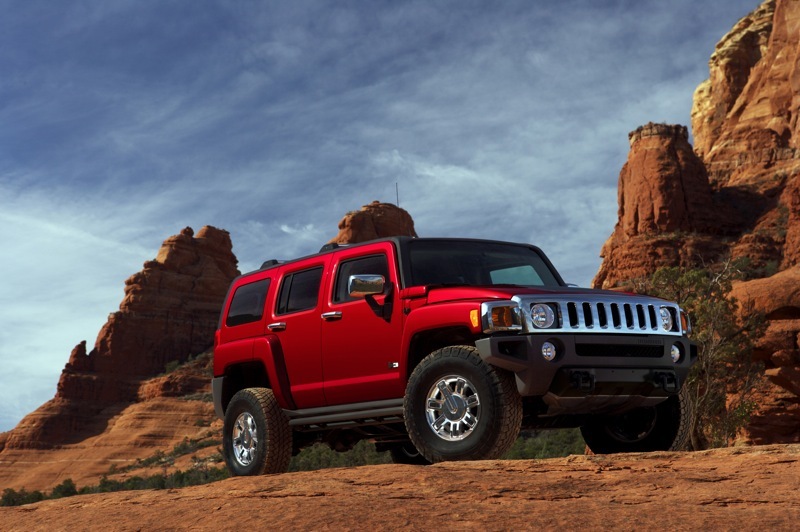 Hummer sales fell by 72 percent in the first quarter of 2010 to 855 units. On a trivia note, GM licensed the Hummer brand from the South Bend, Indiana-based AM General, which produced the Humvee military vehicle, in 1999. General Motors’ first Hummer vehicle was the H1 taht sold for $140,000 and weighed 7,600 pounds (3,400 kilograms). GM added the H2 SUV, weighing 6,600-pounds (2,990 kilograms) in 2002 and the 4,700-pound (2,130-kilogram) H3 in 2005. General Motors produced the H3 at its Shreveport, LA plant while AM General built the H1 and H2 for GM. While the entire GM Authority team is sad to see Hummer go, an complete about-face of the current situation remains a possibility. Just think back to the Saab Sales Saga and you’ll see exactly what we mean! Previous story Advert: Would You Ever Know This Was An OnStar Ad? We Didn’t!